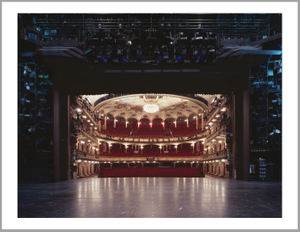 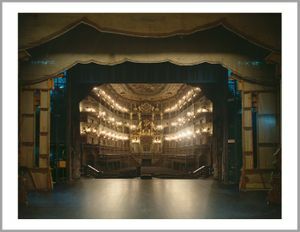 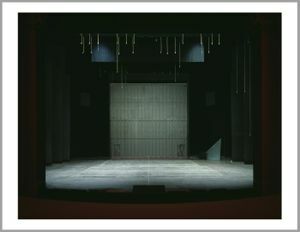 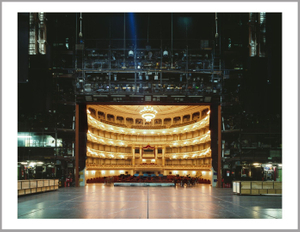 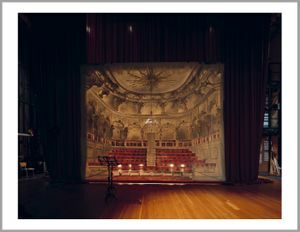 This series is about the perception of space - here theater and opera-houses. 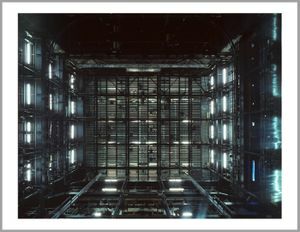 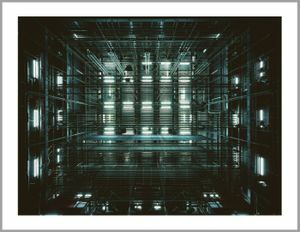 The viewer is looking at a framed space and mostly has never seen the enormous space behind the scenery. 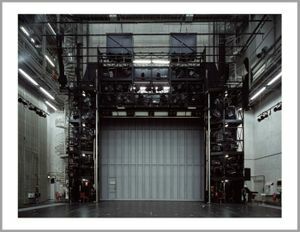 My camera takes the look from the rear end of the stage towards the audience. 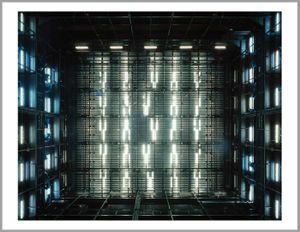 Lacan stated that an image is a look laid down - the viewer is not looking at the image, but the image is sending out rays to the viewer and by that looking at him. 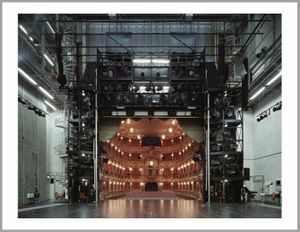 So I am offering a paradoxical view : the audience appears like be the act itself, like put on stage.